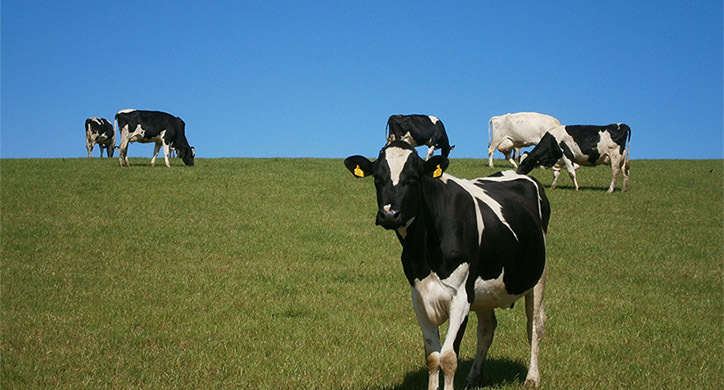 There are differences in opinion over the nutritional value of dairy products. Yes, milk is a staple for growing kids, but as adults we often start to assume the need for dairy starts to diminish. While it is true that we do not need as much milk as we did as a child, milk products can still remain an important part of daily nutrition. As a “nutrient-rich” food, milk contains many essential macro-nutrients, vitamins and minerals — an especially high amount when considering the rather low calorie content! According to the U.S. Department of Agriculture’s food pyramid, the average human should consume approximately three servings of dairy per day. Vitamin D enables your body to absorb calcium and helps maintain your overall body health, while Vitamin A keeps your skin, teeth, and cells healthy. Vitamin E also acts as an antioxidant that helps your body fight free radicals and protect against cell damage. Because of this, Vitamin E it may help reduce the risk of cancer! Magnesium, Selenium, and Zinc are not to be forgotten either. They support your immune system, hormone activity, and help your cells rebuild. 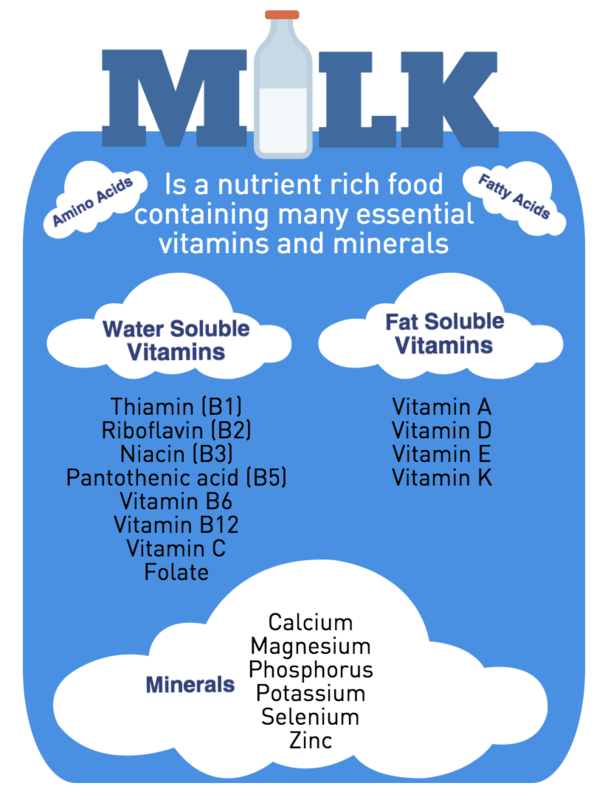 And in addition to these essential vitamins and minerals, milk is also high in amino acids. 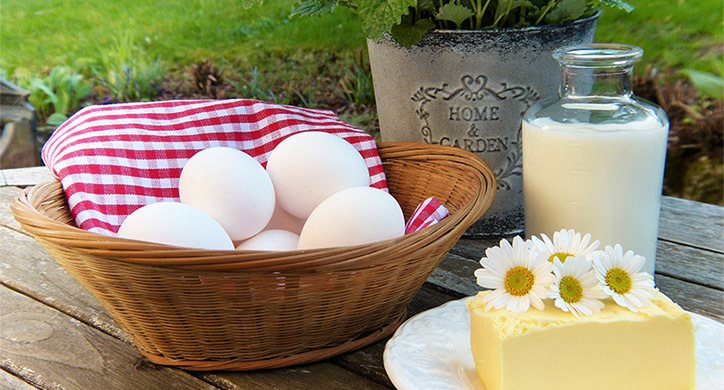 Amino acids are the building blocks for all protein. And that’s pretty important given that the average human body is roughly 20% protein. Amino acids are vital in supporting your muscle and tissue. They also help your immune system and enable the body to heal itself. The amino acids found in milk are supplements that support muscle development and help regulate your central nervous system (CNS). The CNS is responsible for regulating information exchanged between the spinal cord and the brain. One cup of milk also provides roughly 240 milligrams of calcium per serving. To put this calcium content into perspective, we looked for other foods, like fish and leafy greens, that a nutritionist might recommend helping achieve a daily calcium level. Unfortunately, in comparison to milk, these barely scratch the surface! The average fish is paltry in comparison with only 20 mg. Greens are a little better. 1 cup of kale contains 101 milligrams of calcium, 1 cup of broccoli contains about 43 milligrams of calcium, and a salmon fillet contains 36 milligrams of calcium. These secondary options all pale in comparison to the amount of calcium in milk. Not to mention, the naturally occurring vitamin D in milk helps your body absorb this calcium more efficiently. So, if you are not getting your calcium, vitamins, and minerals from dairy you have to be very conscious of what you are substituting milk with in order to fulfill your daily requirements. The USDA recommends three servings of dairy a day, but it can be hard to get a grasp on how that influences your diet. If you break it down, getting three servings of milk a day isn’t as challenging as you may think. One serving of milk = eight fluid ounces = one cup. If you order a tall latte from Starbucks, the beverage is 12 ounces. Depending on the milk you include in that latte order, this can account for one of your three servings of dairy! Having a sandwich or salad for lunch? Incorporate some natural cheddar cheese for your third recommended serving. And remember, it is important to mix and match your dairy selections as each has its own nutrition, sugar and fat content. 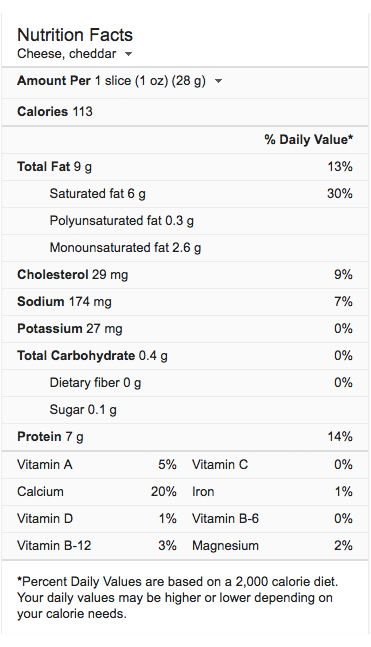 Types of milk and cheese will also have varying nutrition. 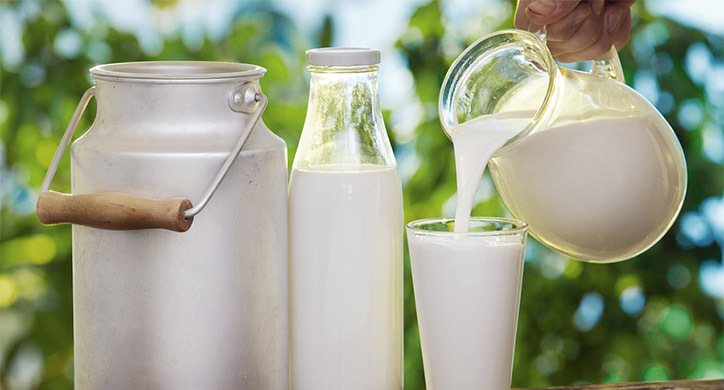 As a rule of thumb, milk products will have a higher nutritional value, but always check the nutrition labels as they indicate the percent daily values of these nutrients. 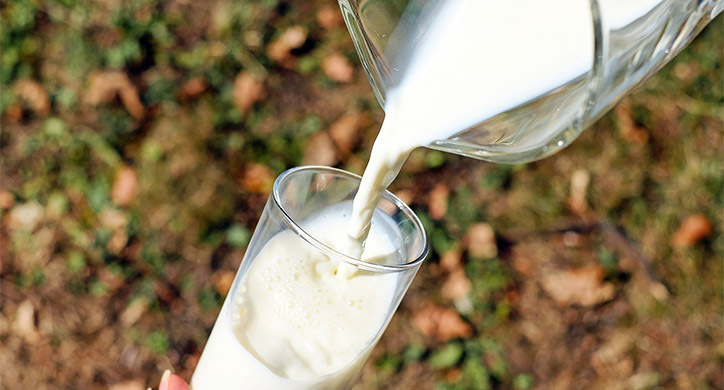 Milk began to get a bad reputation when the fat content of foods was put under the microscope. Even today, with our better understanding of the human body and how it processes food, when you are told food is “high in fat” you might immediately think its bad for you! Thus, reaching for the whole milk in the grocery store refrigerator case probably goes against all of your instincts. Well, you are not alone. Like the ever-popular omega-3 fatty acid, there are other types of fats that are now being studied for their potential health benefits, some of which are: cancer prevention, antiviral activities, antibacterial functions, delay of tumor growth, and notable anti-plaque agents. To illustrate the point, we’ve all seen the rise in sales for the ever-popular and healthy avocado! Food “fat content” is determined by fatty acids and can be broken out into two categories: Saturated and Unsaturated. Saturated are generally solid at room temperature – and are thought of as ‘undesired fats’. Because of this, animal protein and dairy products are often thought of as unhealthy because they are higher in saturated fats than unsaturated fats. Unsaturated fats, on the other hand, are liquid at room temperature and are found in almonds, avocado canola oil, olive oil, salmon, and tuna. Unsaturated fats break down easier and are not thought to raise one’s cholesterol. BUT – let’s not count out milk yet. It contains over 400 different fatty acids and they are very diverse in their composition. 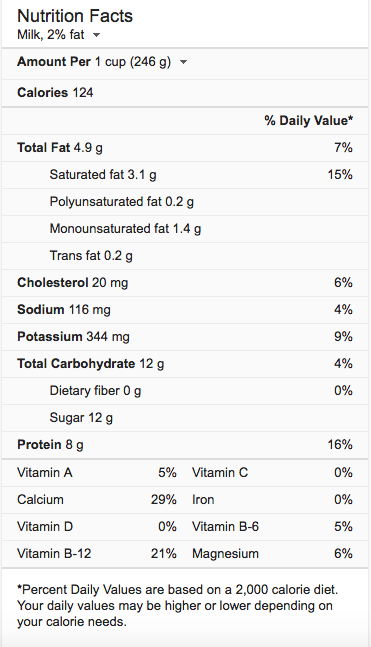 As we discussed in Fat: Our New Friend, there is still debate regarding the role of saturated fat in milk. The argument surrounding dairy consumption and the fatty acids found in whole or 2% milk is fueled by the U.S. Department of Agriculture’s recommendation. Because of the rise in obesity due to sugars and overconsumption, when the USDA recommends that you consume three servings of dairy per day, they are recommending these servings be fat-free or low-fat. However, the current understanding of fatty acids found in milk is being challenged by new scientific research. In the past, saturated fat was thought to be linked to heart disease and strokes, but it turns out that this may have been a big, fat lie. 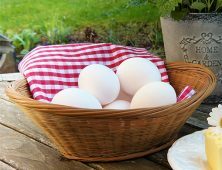 New research indicates that our understanding of saturated fat is not as black and white as we once thought. Remember, not all fats are created equal and your body has a requirement for both unsaturated and saturated fats. The term “lactose intolerance” often gets mislabeled. What that means is that your body cannot properly break down a specific sugar that is found in milk-based products called lactose. That’s right— lactose is actually a sugar found in milk. When you cannot properly digest lactose, that means your small intestine does not produce enough lactase, an enzyme needed to break down the lactose. Essentially, after childhood, when your body is in less need of milk, production of the gene that makes lactase begins to slow down. 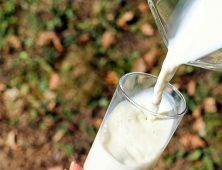 This gene is what tells your body to continue making the lactase enzyme. When your body begins to produce less of this enzyme, dairy products become increasingly more difficult to digest. Without lactase in your small intestine lactose passes through to the large intestine. The bacteria in the large intestine then ferments the lactose into gas and causes discomfort. However, if you are lactose intolerant, you can buy milk that is lactose-free. You can also check out goat’s milk – just make sure it is pasteurized! If you choose to follow the USDA’s guidelines regarding milk, be sure to include beneficial, good fatty acids in your diet —by eating cheese, full-fat yogurt, avocado, fatty fish, nuts, and olive oil. However, if you suffer from high blood pressure or chronic illnesses that are negatively affected by foods with a higher fat content, you should talk to your doctor about your fat intake first! 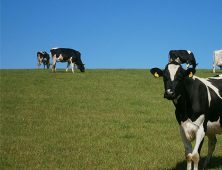 Dairy products are a quick and affordable way to get essential amino acids, vitamins, minerals, fatty acids, and calcium.. It all comes down to the easiest, most nutritious way to meet your daily nutrition needs— and milk is a perfect way to satisfy these requirements.